Dr Richard Sawyer is a consultant in anaesthesia and pain medicine at Oxford University Hospitals NHS Trust. He was formerly a consultant at Plymouth Hospitals NHS Trust for 12 years, where he was also the lead clinician for 7 years. He consults privately in Oxford, Plymouth and London. He specialises in a wide range of chronic pain conditions, including spinal pain, whiplash injuries and neuropathic (nerve) pains. He is a strong advocate of the biopsychosocial model of pain management. Dr Sawyer has a specialist interest in interventional procedures for managing chronic pain conditions. 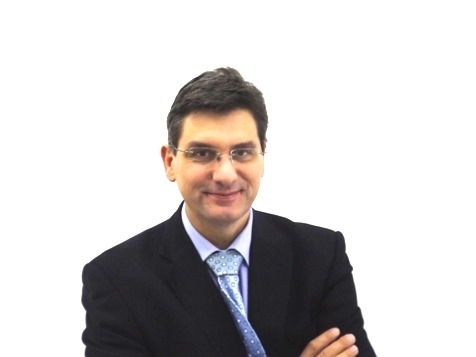 He specialises in the use of radiofrequency, pulsed radiofrequency and neuromodulation techniques. Dr Sawyer has over 10 years experience in implanting spinal cord stimulators for managing chronic pain. Dr Sawyer has been involved in a research project investigating the effectiveness of spinal cord stimulation in refractory angina. Dr Sawyer qualified from the University of the Witwatersrand, Johannesburg, South Africa in 1989. He subsequently undertook initial anaesthesia training in Durban, South Africa gaining the Diploma in Anaesthesia (SA) in 1992. Dr Sawyer undertook a number of general practitioner positions in South Africa and this gave him some early exposure to chronic pain problems and the impact this has on patients, their families and carers. Dr Sawyer underwent higher specialist training in the UK (Sheffield) and undertook a Fellowship training year in pain management (acute, chronic and cancer pain) and regional anaesthesia in Toronto, Canada in 2001. Dr Sawyer was appointed as a consultant in Plymouth Hospitals NHS Trust in 2002. Dr Sawyer was integral to the development and advancement of appropriate interventional pain management techniques in the department. Dr Sawyer was successful in gaining the Fellowship of Interventional Pain Practice from the World Institute of Pain in 2005. This international qualification sets a high standard of clinical competence in interventional pain practice. Dr Sawyer has acted as an examiner for the WIP since 2009 and for the Faculty of Pain Medicine since 2014. Dr Sawyer has extensive experience in managing and leading a modern pain management clinic. Dr Sawyer has interests in research into chronic pain and its management and has recently been involved in a number of local, national and multi-national projects. Dr Sawyer has published numerous articles on chronic pain and its management. Dr Sawyer was appointed to a consultant position at Oxford University Hospitals NHS Trust in 2013. Dr Sawyer has recently completed a Masters in Medical Law through De Montford University, Leciester. He has academic interests in the philosophy of health care and issues surrounding consent. 6) Medicolegal Special Interest Group of IASP.